In the last post I gave hints about a new purchase.... no it is not a Chanel purse although it may be coming (wink wink) :P But it is a purchase that I have been fearing for 10 years... I know that for many this is not a big deal, but for me this is HUGE!!!!!! 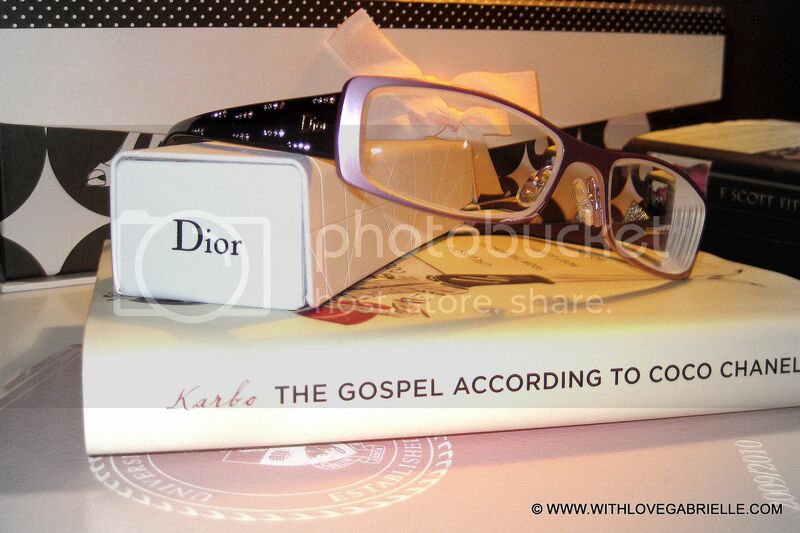 My new purchase is glasses by Christian Dior!!! I hate myself in glasses, done and over with! I've been wearing contacts for 10 years but after lots of convincing from my mother I finally decided to get a pair of glasses to wear around home and on the occasional Starbucks run! I just picked up this adorable pair of matte pink Christian Dior glasses. I really love them, but just not crazy about wearing them outside. Still thought to share some photos since they're beautiful :) I am only anti-glasses on myself, I love glasses on others. I'm hoping that my mind does change... as they are so beautiful and deserve to be seen! So here it is...the moment I never thought I would face: ME WEARING GLASSES! Honest opinions darlings, please :) What do you think?